Unfortunately, if you’re a pet owner, not everything about vacation is sunshine and rainbows. Despite all the wonderful experiences you’re about to have — the fun in the sun, exquisite food, fancy hotels — you’re more than likely going to have to leave your pet behind. Every pet needs to get taken care of in their own way, and that’s why it’s important to make sure their needs are attended to while you’re gone, especially if it’s a higher-maintenance animal like a dog. Pet boarding is one solution for keeping your pet taken care of while you’re abroad. However, there are a lot of misconceptions surrounding this kind of service. At Rancho Regional Animal Hospital, we’ve hosted more pets than we can count through our pet boarding services, and we want everyone to know just why pet boarding is such a great solution. One of the most disconcerting things about leaving your pet at home is the idea that they will be getting very little attention for the majority of each day. For some pets, this is more acceptable than others. While your cat will undoubtedly miss you, they won’t go into full-blown separation anxiety mode like a lot of dogs do. If you have a pet that doesn’t take your loss well, it can be even worse when they only have limited attention during your absence. This is a common problem with dog-sitters. Most people tend to leave their dogs under the care of close friends or family members in the form of occasional visits. In most of these instances, the “dog-sitter” will give the dog what they need — food, water, some attention, and maybe a walk — before they go back home, leaving the dog alone. Ultimately, your dog will be fine, but it’s not ideal. 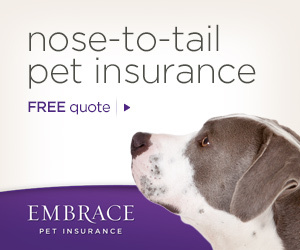 When you use a pet-boarding service, your dog will get all the attention they need. Did you know that at Rancho Regional Veterinary Hospital we’ll take your dog on three walks a day? That’s much more than they would likely get at home, and they sure will be thankful for it! Even when you have a perfect pet who requires virtually no maintenance, a friend or family member can still screw things up when they come to visit. Unfortunately, the potential for damage is much worse when your cat or dog has special needs that must be attended to. When you board your pet, you can rest easy knowing that the trained veterinarians will be on top of your pet’s needs, having detailed notes about what they need and when they need it. If your pet requires medication, a certain kind of socialization, or any other special needs, who better to entrust that to than professional veterinary experts who are not only trained to handle animals but who love them as well? There’s no way around this one — if your pet needs special treatment, there is simply no better place to leave them than a boarding service. Another huge advantage to pet boarding services, one that is often severely underrated, is the aspect of peace of mind. Look, you don’t have to tell us — we know you love your pet. As animal lovers ourselves, we don’t know how you could have a pet and not worry about them. The truth is that worrying about your pets abroad can be stressful, especially if you left them under dubious care. While your friends and family have your best interests at heart, we’ve seen more than enough cases where pet care by a loved one wasn’t exactly the cream of the crop treatment that the pet deserved. Aside from wondering whether your caretaker will get things right, there is also the aspect of what your pet could do on their own time. Dogs can have a nasty habit of getting into food they shouldn’t get into. Cats sometimes accidentally lock themselves into certain rooms when they’re playing with the door. There is no way to list all of the potential dangers that could happen to your pet, which is why, at the end of the day, it’s nice to have some peace of mind. We know you’ll be able to rest easy when you leave your pets with Rancho Regional Animal Hospital. Pet boarding is better for your cats and dogs for many reasons, but there are also reasons why it’s better for you, and convenience is one of them. 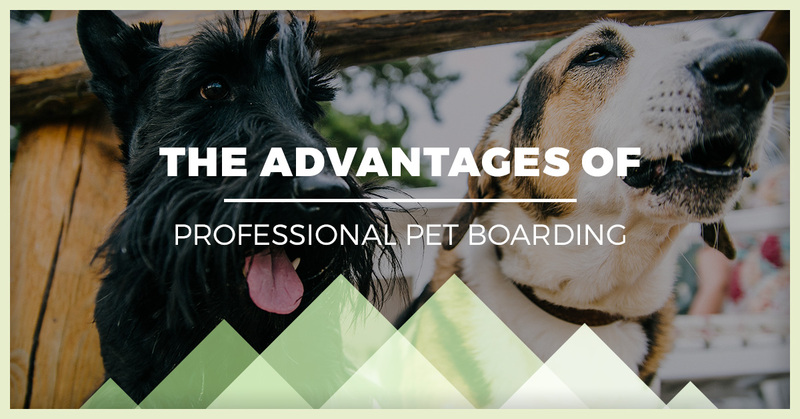 Using a pet boarding center is extremely easy, and once you do it, you’ll probably find that it was much simpler than you expected — you won’t have to worry about preparing your home, teaching your dog-sitter, and pet-proofing everything. We can’t speak for other pet boarding services, but at Rancho Regional Animal Hospital, we offer pet transportation services to make things as easy as possible for you! Don’t have time to load your dog or cat into the car and drop them off? No problem! We can pick up your pet, take them to our animal hospital, and then drop them off back at your place when all is said and done. This is carried about by professionals, so you can have the assurance that the ride will be as pleasant as it possibly could be for your pet. At Rancho Regional Animal Hospital, we’ve boarded countless pets in the Rancho Cucamonga area. If you’re going on a trip soon, we encourage you to inquire about pet boarding services! It will not only be a boon for you, it will also be a much better experience for your pet. Contact us today!